The Garden Club of Santa Barbara celebrated it’s 100th birthday on April 4, 2016, with the gifting of two major gardens at the Santa Barbara Botanic Garden. 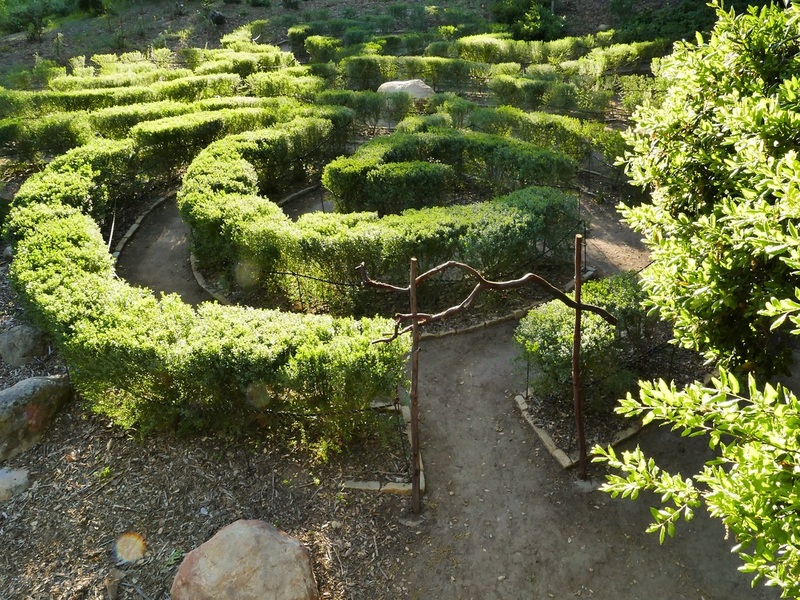 The Children’s Centennial Maze, the 1st of its kind in Santa Barbara, and the historic Wooded Dell garden, exemplify the Club’s long history of community giving in the fields of horticulture, conservation, education and beautification. A Mayoral Proclamation was presented to club members, followed by remarks from Dr. Steve Windhager, Botanic Garden Director, on the Garden’s 90 year shared history with the Club. The Wooded Dell Garden, adjacent to the Lockwood de Forest/Campbell Bench and Trail, is planted with a diversity of native species. Subtle design elements are in keeping with the historic intent, and invite the visitor to pause and reflect on Nature’s horticultural richness. The Children’s Centennial Maze was designed by artist, and Garden Club member, Lenore Hughes. Planted in the shape of a cloverleaf with native coyote brush, the garden invites young children to play, explore, and discover Nature’s surprises. 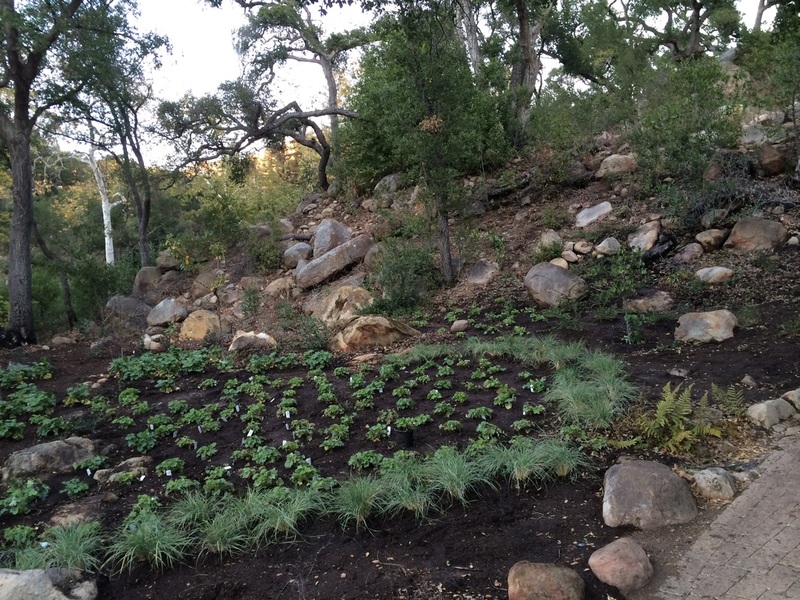 The garden is the gateway component to the new Backcountry Adventure children’s area at the Botanic Garden. Both gardens were planted by Garden Club members and Botanic Garden staff members, under the direction of SBBG Horticulture Director, Betsy Collins, and Arborist, Bruce Reed. The Garden Club of Santa Barbara funded both gardens, with additional funding by the WWW Foundation. The Garden Club of Santa Barbara is a non-profit volunteer organization, founded in 1916, and is the 1st Garden Club of America established in the western U.S. The Club’s 100 year history has been compiled by member/Historian, Alice Van de Water, with the assistance of member/Archivist, Gillian Couvillion, and Centennial Committee members. This history will be published in an upcoming edition of the Santa Barbara Historical Museum’s Noticias, edited by Museum Research Director, Michael Redmon.